In a typical Bellagio slot tournament, players compete against each other to win large cash and FREEPLAY® prizes by accumulating the most points during multiple rounds of slot machine play. Participants are randomly assigned to slot machines and are given unlimited spins for a preset amount of time. It is not necessary to put money in the machines. Players win points as they hit winning combinations on the reels and the more spins completed within the set time, the greater the chances are to enhance the total score. The scores for all the rounds of tournament play are totaled to determine the overall tournament rankings. How does a slot tournament work? Players are assigned their session times during slot tournament registration (for more information see tournament registration question below). At the tournament, the emcee will announce session times and welcome guests into the tournament arena, which is normally held in one of Bellagio's luxurious ballrooms. Players sit at the machines they were randomly assigned at tournament registration. On the count of three, everyone in the session begins hitting the button on their machine and plays for the duration of the round. Players are awarded points by hitting winning combinations on their machine's reels. At the end of the session, a representative comes around to record everyone's score. After tournament play, participants are welcomed to stay in the tournament arena and enjoy the event, or come back later for their next session. After all rounds of tournament play, guests will return to the tournament arena for the awards ceremony where the winners are announced. Are all slot tournaments the same? Not at all. Bellagio strives to provide a unique experience at every slot tournament by varying themes, décor, food, and entertainment. The most common slot tournament format consists of three rounds of play. Other formats include: the best three out of four scores, twin tournaments offering players two chances to win, re-buy rounds to replace the lowest score, and bracket style tournaments where players advance to higher prize pools. How do I get invited to a slot tournament? Slot tournaments are reserved for invited Bellagio casino guests. To become a casino guest simply sign up for a free M Life Rewards Players Club card at mlife.com or at the Players Club desk located in the heart of the casino, and use it while gaming at Bellagio. Tournament invites are sent prior to the event via mail and email to customers who qualify based on their historical gaming activity. The criteria for receiving invites varies based on the event, but in general it takes an average of 6,000 slot points a day to begin receiving invites. If you would like information on how to qualify for a specific event, navigate to the event's page on Bellagioslots.com and fill out the "Event Registration Request" form. Does it cost money to participate in a slot tournament? To keep it exciting for guests, Bellagio offers different prize formats. Therefore, some tournaments are free and some require a buy-in. Buy-in tournaments typically have a set number of participants that Bellagio will not exceed. This ensures more favorable odds and a better chance of winning. Prize structures vary depending on the tournament. Top prizes range from $20,000 to a Million dollars in Cash! Each tournament's prize structure can be seen on its respective page at Bellagioslots.com. How often does Bellagio host tournaments? Bellagio hosts slot tournaments approximately once a month. Are there other activities involved in a slot tournament besides playing the machines? The Bellagio Slot team is dedicated to providing guests with an exciting, action-packed experience. Live cooking stations, bands, dancers, entertaining emcees and other surprises are just a few of the exciting aspects that are often present at a Bellagio tournament! Food is typically served buffet style and guests are welcome to eat and enjoy the open bar and entertainment throughout the day. In addition, tournament invites often include a complimentary room and other Bellagio amenities to enjoy during the tournament. What happens at tournament registration? Tournament registration typically takes place the day before tournament play starts. At registration, players show their M life Rewards Players Club card and randomly select their tournament machines using one of the computer stations available. The machine numbers selected, play times, and tournament location will be clearly marked on credentials given to players. Can I receive a rate and availability quote, or make a change to a reservation via email? I want to get married at Bellagio. Can I have a packet of information sent to me? To obtain information on our Wedding Chapels access our website under the category 'Amenities' or contact our Wedding Chapel 888.987.3344 or 702.693.7700. You may also fax our Wedding Chapel Department at (702) 693-8560 or email the Wedding Chapels at weddings@bellagioresort.com. Does Bellagio offer wheelchair and scooter rentals? Wheelchair and scooter rentals are available for a fee at the bell desk, on a first come first serve basis for Hotel guests. A refundable deposit is required. Can I get O Show tickets via e-mail? 'O' Show tickets are available on our website at www.bellagio.com under the category 'O-Cirque du Soleil'. Tickets are on sale 120 days prior to the date requested. You may also contact MGM Resorts International Show Reservations line at 888.488.7111 or 702.796.9999 from 6:00 AM - 11:00 PM daily. Can you send me a brochure on the hotel? Our hotel brochures do not contain pictures of our guestrooms. 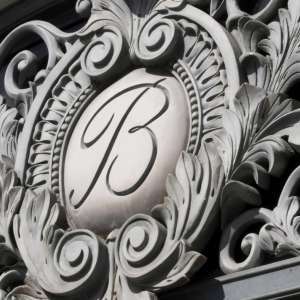 We recommend obtaining information about Bellagio on our website www.bellagio.com. However, if after reviewing this site you would still like our hotel brochure, please e-mail us at roomres@bellagioresort.com. Please be sure to include your name and mailing address. Does Bellagio offer Dynamic Currency Conversion? Dynamic Currency Conversion is a convenient service that offers international guests a choice of paying for their room and purchases in their local currency or US Dollars. Bellagio offers this service to our international guests at the Front Desk, VIP Lounge, Pool Operations, and via the Contact Center as well as Casino Marketing. There are no hidden fees and the exact price is known at the time of the purchase or charge. This benefits guests in offsetting existing fees directly associated with international credit cards and is available in International MasterCard and Visa transactions. Can I make a spa or salon appointment via e-mail? Guests and non guests may schedule an appointment with the Spa up to 3 months in advance of the day requested by contacting the Spa at 702.693.7472 between the hours of 6:00 AM and 8:00 PM daily. Salon appointments may be scheduled up to 3 months in advance of the day requested by contacting the Salone at 702.693.8080 between the hours of 9:00 AM and 7:00 PM daily. Does Bellagio Have a Dog Policy? Do you have high speed Internet access in your guestrooms? Our guestrooms are equipped with wireless internet. Our Business Service Center offers mini office suites with computers and Internet access. They also offer a high-speed connection that you may connect your equipment to for Internet access. For rates please contact the staff at 702.693.7070 or at 866.757.7111, email bsc@bellagioresort.com or by fax at 702.693.8585. Does the resort offer parking for hotel guests? For complete details on parking, please visit the Bellagio parking information page. Does Bellagio offer Accessible Rooms? Our 22 accessible Deluxe Rooms in the Spa Tower and 63 accessible Resort Rooms in the Bellagio Tower offer roll-in shower access, shower chair, lavatory rails, convenient closet shelving and lowered amenities. Hospitality kits for the hearing impaired, as well as wheelchairs, are available through our Bell Desk. In addition, we offer two rooms with Hoyer "Handi Move" electronic lifts, which enable a person to move from a wheelchair to the bed, toilet, or shower bench without assistance. The lifts have a maximum weight limit of 300 pounds. The bathroom lift in the king bedded room moves between the toilet and the shower stall. The bathroom lift in the queen bedded room moves between the toilet and the soaking tub. The roll in shower is wheelchair accessible. The beds in both rooms are adjustable. Please inquire with the Bell Desk for availability by calling 702.693.6555. For most guestrooms and suites, room rates are based on double occupancy. Up to 2 additional guests can be added at a nightly rate of $50 plus tax per added person. What time is check-in? What time is check-out? Standard Check-in time is 3:00 PM. Standard Check-out time is 11:00 AM. How can I check in early? At the time of booking you may select "Early Check-in" which is between 10:00 AM and 1:00 PM and is fulfilled based on room availability. Yes, at the time of booking you may select "Late Checkout" which extends your stay until 3:00 PM. Late Check-out can also be requested by contacting the Front Desk and is based upon availability. Does the resort offer Express Check-out? Yes, Bellagio offers Mobile Check-out, In-Room TV Check-out, and Express Check-out forms in the lobby. In addition, if you provided your email address at check-in you will receive an express check-out link the morning of your departure. Please note that if you are parked in our parking garage, retain your room key to exit the parking structure after check-out. I would like information regarding your player's clubs. For reservations or information regarding the MGM Resorts International Players Club call 888.987.7887 or visit www.playersclub.com. Can I apply for Marker Signing Privileges prior to my arrival? Rooms and suites are non-smoking (except for certain accommodations in the Bellagio Tower on the 19th floor and on the 33rd floor and above). If there is evidence of smoking of any substance in your non-smoking room/suite, you will incur a minimum deep cleaning fee of $500 for rooms and $1,000 for suites charged to your hotel account. Please note that e-cigs, vapors, hookahs, marijuana etc. fall under our non-smoking policy. Cleaning fees will be applied to smoking in areas that are non-smoking. We have designated smoking areas throughout the casino, bars, and other areas (use of marijuana and/or hookahs is prohibited in both smoking and non-smoking areas. Contact a resort employee for location information regarding designated smoking areas. How do I establish a line of credit with the casino? Does the theater have Accessible Seating? Yes. Additionally, wheelchairs & accessible seats are available upon request at time of purchase, both online & at the box office. How can I find out about special promotion dates? Contact our Room Reservations Department at 888.987.3456 or 702.693.7444. You may also sign our Guestbook on our web site to receive information on specials via e-mail. If you have lost an item at the hotel or in your room, please fill out the form here and someone will contact you to assist with locating your item. To receive a copy of your bill, please visit mgmresorts.com/folio. If you would like to speak to someone directly, please contact Guest Services by calling 888.987.7111 or 702.693.7111, and ask for Guest Services. Can I request a donation from Bellagio? The social investments made by MGM Resorts International are dedicated to strengthening the communities where our employees live, work and care for their families. For this reason our charitable contributions are focused in Nevada, Mississippi and Detroit, Michigan and our giving areas focus on development of at-risk youth, public education, community development and diversity. If your request falls within these geographic and giving priorities, please visit our website at http://www.mgmresortsfoundation.com/ for more information. Does Bellagio have a CD or a video of the Fountain Show? We offer a CD containing some of the songs used in the performances of our fountains. Copies may be obtained by contacting our Tutto gift shop, open 24 hours, at 888.549.7111 or 702.693.7762. You will find a list of all the songs, composers and artists of the music played during the performances of the fountains on our web site at www.bellagio.com under the heading "Attractions." Unfortunately at this time there is no video or DVD available of the performances of the Fountains of Bellagio. Can I purchase gift cards for Bellagio? They may be purchased through the Concierge at 702.693.7075 or Online. How can I apply for a job at the resort? Visit www.mgmresorts.com/careers then choose the resort you want to work at in the dropdown menu. The lowest available rates are guaranteed when booking through Bellagio.com directly. For exclusive offers and promotions, you can sign up for M life Rewards and our Guestbook. What are the Holiday Gift Shoppe Points redeemable for? You can order a cake through the Concierge. Concierge can be contacted here. How can I access my Win/Loss (Tax) info? Log in to your M life account by going to Mlife.com (this will be a link). Click sign in, and enter your information. Click on your name in the top left hand corner, which will open a dropdown menu. In the menu, click Win/Loss (Tax) info to access your Win/Loss Statement.